Extensive revision is the secret of success in learning a foreign language. Language learning mainly consists of training fast reflexes similar to those used in typing or playing the piano – and such reflexes can only be trained through frequent revision. How is DIRECT Method for English different from other direct methods? 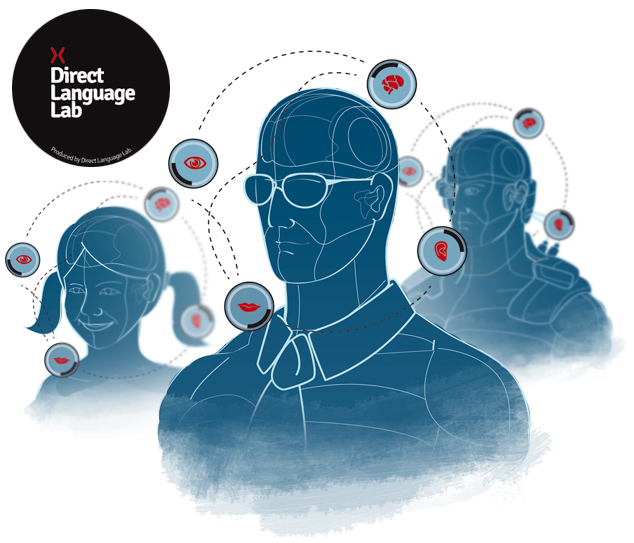 Coursebooks produced by Direct Language Lab are modern – containing only up-to-date vocabulary and grammar adapted to present examination standards. English designed with Direct Method coursebooks include questions relating to current topics which are of interest to students. English designed with Direct Method coursebooks are updated on a regular basis. When working on subsequent editions, we pay utmost attention to verification of coursebooks both in terms of language and context validity. Coursebooks produced by Direct Language Lab have been created by a team of teachers with several years of experience in teaching by means of direct methods and they reflect long-term considerations concerning the range of material and the method of its implementation. All the levels of English designed with Direct Method coursebooks contain a wide range of questions ascribed to a group of words. This facilitates better acquisition of meanings of words and consolidation of their use in various contexts. English designed with Direct Method Coursebooks reflect a practical approach to English grammar. The coursebooks contain clear grammatical explanations – short, practical and easy to understand. exercises and communication sections thanks to which students learn how to ask questions and practise vocabulary and structures which are useful in terms of communication. Specifically for English coursebooks, Direct Language Lab has designed an Internet platform where every user can find even more attractive exercises, making use of over 100 additional hours of learning.